Hello stampin' friends! 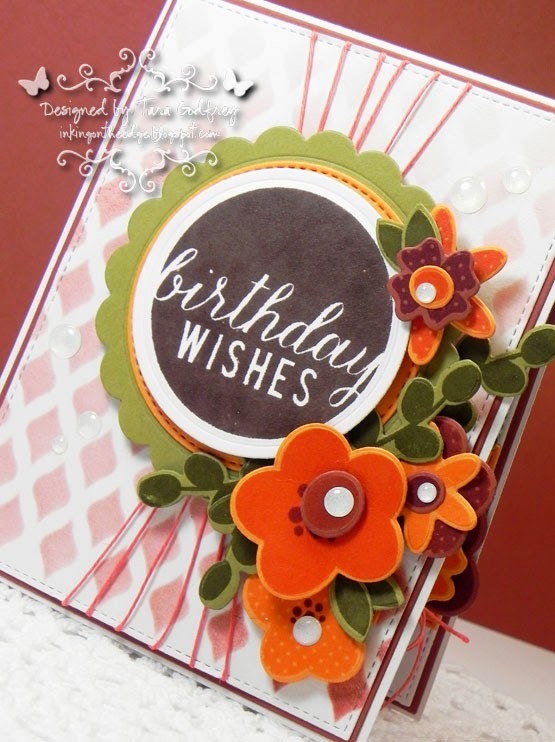 Just popping by quickly to share a Reverse Confetti birthday card that I made for the Deconstructed Sketch # 177 and ColourQ Challenge # 267! 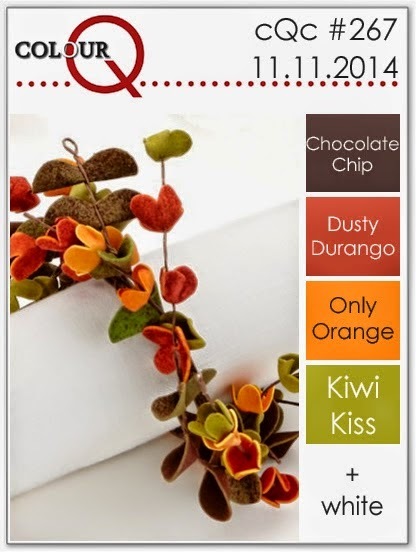 I loved the pretty autumnal colour swatch for the ColourQ # 267 and I was also inspired by the pretty flowers in the inspirational photo. 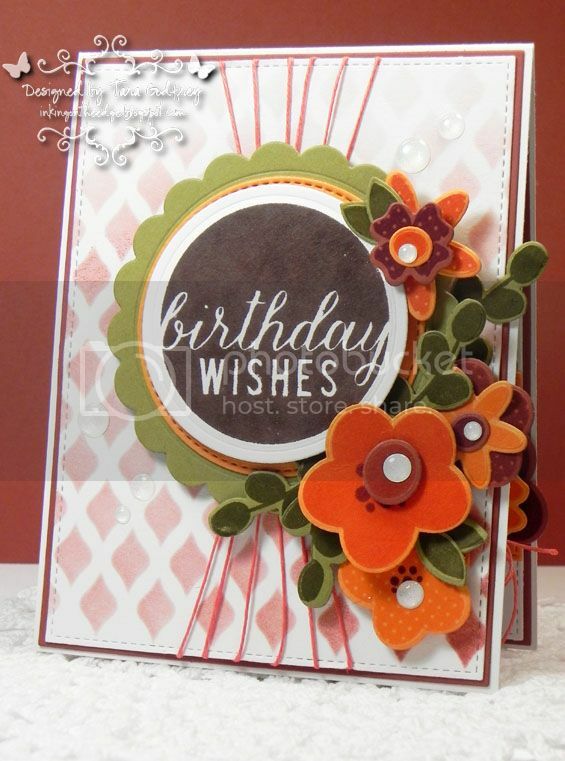 I made this card with MFT Heavyweight Card Stock in Sweet Tooth, Brick Red, Olive and Orange Fizz. I cut the main panel from Sweet Tooth Heavyweight Card Stock and used the Fishnet Stencil and inked with Brick Red Premium Dye Ink. I cut the sentiment panel with the Reverse Confetti Circles 'N Scallops and stamped the sentiment from Reverse Confetti Roundabout Additions Stamp set with Chocolate Brown Premium Dye Ink. The flowers were made with the Reverse Confetti Petals 'N Posies Stamp set and Petals 'N Posies Confetti Cuts. I embellished with American Crafts Hemp cord and a sprinkling of Clear Sparkly YNS Gumdrops. I finished off the inside of my card too...I stamped a sentiment from the Reverse Confetti Fabulous Flamingos Stamp set and added a few more Pretty flowers made with the Reverse Confetti Petals 'N Posies Stamps and Confetti Cuts. 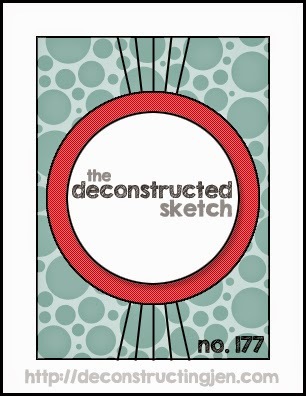 Thanks SO much for stopping by and havin' a little look at my Reverse Confetti card for the Deconstructed Sketch # 177 challenge and the ColourQ Challenge # 267! Lovely card, Tara, beautiful flowers! Thanks for joining in the fun at the colourQ. This is stunning! 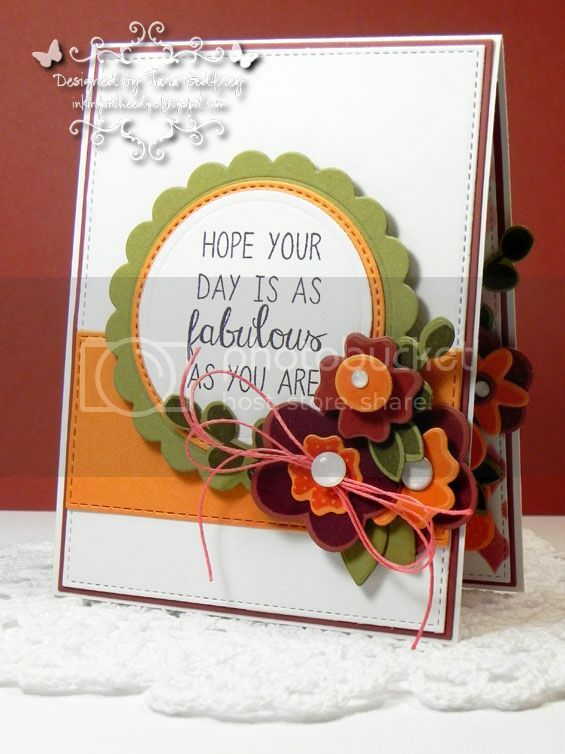 The layered flowers are simply gorgeous and I love how the stenciled background gives this some texture. Thanks for joining us at colourQ! How beautiful. I love the big cluster of flowers on both the inside and outside.